Harry Potter and the Sorcerer's Stone director Chris Columbus has treaded the world of children's book writing with House of Secrets and he simply proved how variedly talented he is. But of course his book writing career was made possible with the help of his co-author Ned Vizzini. Now there is no stopping this duo as they are back to continue the story of the siblings Brendan, Eleanor, and Cordelia Walker with House of Secrets: Battle of the Beasts. If J.K. Rowling was impressed of the first novel in this series, who are we to be skeptical? 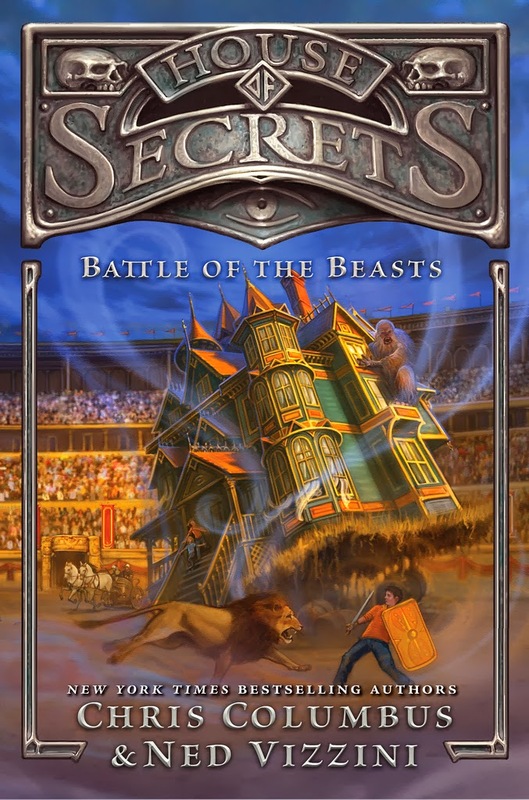 Here is the cover of House of Secrets: Battle of the Beasts by Chris Columbus and Ned Vizzini. House of Secrets: Battle of the Beasts by Chris Columbus and Ned Vizzini will be available on March 25, 2014.